The Race 5 night race returns in 2019 as the finale! A fantastic night race around the Yarra Trails race in Kew followed by a massive post event party at Yarra Bend Park immediately afterwards. When: Saturday 5th October 2019. 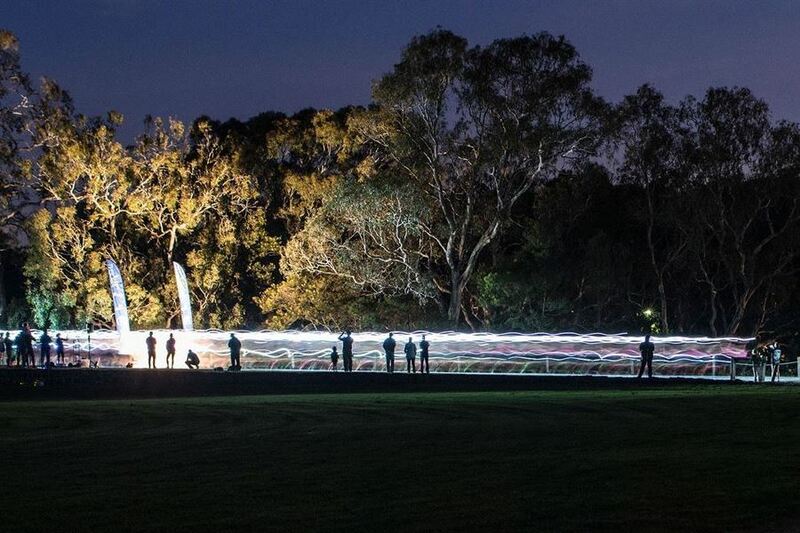 This unique trail running event was the first of its kind in Australia in 2016 with the entire race being held after dark – making it an incredible race experience for everyone. The courses will be the exact same as those used in Race 1 at Studley Park in previous years giving you some familiarity but you will be amazed at just how different they feel when you’re vision is restricted to the cone of light emanating from the front of your torch. We’re sure you’ll find it to be a great experience and a suitable finale to another great series. The short, medium and long course races will be conducted in the same way as at the other race locations with a single mass start for each distance, but all runners will be carrying a torch allowing you to follow the trails and the reflective course markings. The courses remain the same as 2016 (and as raced in the original race 1 at Studley Park) so all returning runners will be familiar with the trail, challenges and rewards; whilst also giving peace of mind and comfort for those new to night running.